Managing the fiscal deficit is a critical issue for Sri Lanka to sustain a high economic growth rate, said Asian Development Bank (ADB), Resident Mission Head, Richard Vokes at the launch of the Asian Development Outlook (ADO) 2010 in Colombo on Tuesday. The largest engineering company in India, L&T Infrastructure Development Projects, is keen to invest in major infrastructure projects in Jaffna. Chief Operating Officer, L&T Infrastructure in Sri Lanka, Vishal Mathur told the Sunday Observer that the investment for the projects is over US $ 100 million. 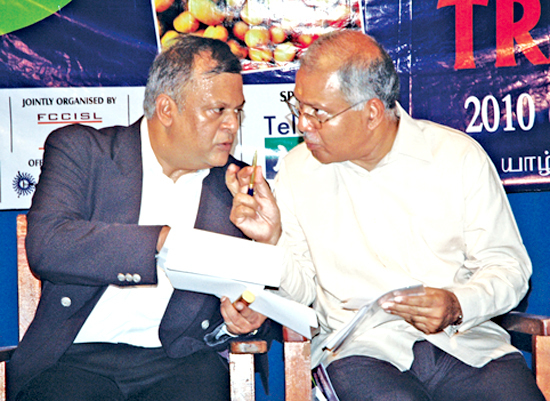 Political stability in the country ensured by the overwhelming victory of the UPFA at the general election boosted investor confidence and it was reflected in the boom in the Colombo Stock Exchange last week.